Wisely selecting best shampoos and conditioners which care for your hair remains a vital decision and living a healthy life. Dry hair means when your hair is dry, rigid and hard which is associated with considerable pain when combing or brushing. Dry hair is not a disease, it is just a condition that requires proper treatment. Dry hair is susceptible to breakage and damage, so you need to be very careful with the product used on your hair if you have dry hair. Dry hair also means your hair cannot produce enough oil or get to keep enough sufficient moisture. Hair has no natural lubrication. 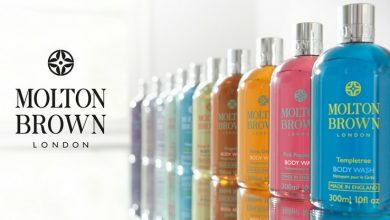 It relies on oils naturally made in the hair root to keep your hair moisturised and looking lustrous. 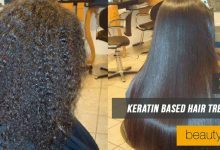 The outer layer of your hair, which protected the inner layers and reflect the light to give it a shiny appearance, has been broken which reduces its sheen and can make it appear frizzed, lifeless, and dull. 3.0.1 How do shampoos and conditioners work? 3.0.2 What is the best shampoo and conditioners for dry hair on the market? 3.0.3 What causes dry hair? 3.0.4 Are there ways to prevent hair dryness? 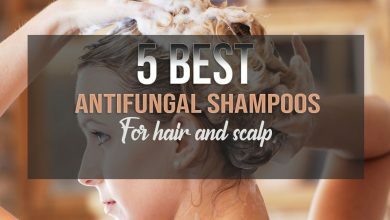 3.0.5 Can shampoo repair damaged hair? 3.0.6 Can I use a dry shampoo work for my dry hair? Even though you have lovely hair or oily roots, you still need good Shampoo and Conditioners for your hair. It is essential to keep your hair healthy-looking and feeling good. The use of conditioner after applying washing with shampoo is necessary. Using a hair care product that is not formulated for your hair type can have an adverse effect on your hair. The main problem is how to choose precisely the best treatment for this dry hair. To reduce you of stress, we have made your search easier and faster in choosing some of the best shampoos and conditioners for dry hair with different criteria. The ingredient is one of the main features that differentiate regular shampoos from those designed for dry hairs. A major constituent of all shampoos is the surfactants used in making the shampoo. This varies from one product to the other. The type of surfactant used in shampoos for dry hair may differ from the one used in shampoos formulated for oily hairs or regular hair. For example, Ammonium Laureth Sulphate is a popular surfactant used in shampoos but is not desirable in dry hair shampoos because they can be rough on hair and aggravate dryness. Ingredients, we also consider additives that might hinder or improve its effectiveness with dry hair. Shampoo for dry hair must contain moisturisers which help to supply moisture to the hair. Products with additional additives that help to prevent damage because of heat or UV radiation are also better favoured in our rankings of these products as it helps to prevent further damage due to exposure from heat from hair dryers and hair irons. Most of the time, reviews tell us the idea about how effective the product looks like. Product descriptions as written by the manufacturer rarely contain any actual information about the product’s effectiveness instead it focuses mainly on the hypothetical capabilities of the product based on its constituent. Thus we look through product reviews and choose the products have reported a high level of success based on the experience of users with them. We know that the level of effectiveness varies from one user to the other and negative reviews doesn’t mean the product is bad. Generally, the product review and feedback is almost always a reflection of the effectiveness of the product. When considering the best shampoos and conditioners for dry hair, we have considered the safest products based on the ingredients in the product. 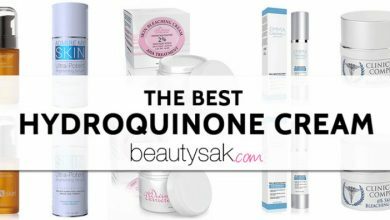 Some exclusive products we have carefully reviewed contain polyquaternium-6 or polyquaternium-10 which is the best nourishing ingredient. We have ensured that the products on our list have been reported as safe for use with little or no known side effects. We also put into consideration how colour friendly the shampoo or conditioner in question is, preferably your dry hair shampoo must be compatible with both natural hair or coloured ones as this determines to a large extent their universal usability. Made from natural ingredients like lemongrass, wheat germ lipids, sage, and the ever moist aloe plant, this ultra-hydrate shampoo not only keeps your hair clean when you apply but also helps to improve its overall health by making it moisturised and soft. This paraben-free shampoo has been optimised to help maintain moisture balance while protecting your hair against damage by and helping to restore its natural shine. This product is suitable for use for natural hair and color treated hair. This special moisturizing and hydrating conditioner are perfect for nourishing and softening dry hair and restore and healthy and shinier look. It contains ingredients with moisturizing abilities such as Shea butter, coconut milk and macadamia oil all of which have been proven to be effective for healing dry air and keeping it hydrated. It also contains Aloe Vera juice as its primary ingredient which leaves your hair hydrated and soft and heals damaged strands of your hair effectively. This shampoo helps combat the effects of undernourishment on the hair which includes dryness, roughness, and frizz. It is composed chiefly of mythic olive oil which helps to provide nourishment to your hair and restores it to health. It is also rich in vitamin E another important constituent that helps promote hair health and antioxidants that make your hair shiny, silky and smooth. This product helps to revitalize your hair and repairs damage that might occur to your hair due to dryness. It might not lather well. The Pro-V conditioner from Pantene is another great conditioner that helps to cater for dry and frizzy hair. It helps to repair and reverse the damage that might have been done to your hair and protect the cuticles from further damage. This hair conditioner comprises ingredients that help to nourish the hair from the tip to the root and protects the hair even for a long time after it might have been washed off. This salon quality hair formula from TRESemme is excellent for taking care of dry hair. It is made from a perfect blend of Aloe Vera and coconut oil and is also rich in vitamins B12 and E which are notable for their ability to protect and nourish the hair and prevent it from getting damaged. This product also helps to sustain the cuticle and strengthens the hair. It locks moisture perfectly within the hair shafts and helps to maintain hydration throughout the day. This moisturizing cleanser from Herbal Essence has been specially formulated to tackle cases of dehydrated and dry hair and help you recover your smooth and silky hair. Made essentially from coconut essence and orchid extracts, this conditioner is PH balanced and safe for use for those with colored hair. It is free from mineral oil, gluten or paraben and promises gentle conditioning that will leave your hair silky and soft with daily use. It has to be thoroughly rinsed to wash out. Thanks to ingredients like Manketti nut oil, praecox oil, babassu oil, and coconut oil among others, this moisture conditioner can effectively restore moisture to dry hair and improve its softness and brightness. This conditioner is great for a smooth and shiny finish after washing your dry hair. It not only helps to manage your hair, but it also helps to prevent and correct damages that arise due to dryness thus restoring yours to an overall healthier condition. The Rainforest moisture conditioner is paraben and silicones free and contains no colorants which make it safe for both natural and colored hair. This highly nourishing hair care formula from Dove Nutritive solution is effective for managing dry, frizzy hair making it a lot more manageable with every single wash. This hair conditioner is formulated with Nutri oils which not only helps to condition your hair but is also effective at hydrating it thus restoring its natural softness and shine. It is also weightless which means it works without weighing down your hair. It works down to the deepest level and guarantees positive results with continuous use as it nourishes your dry hair back to health. Nourishes your hair down to the root. This is one of the affordable shampoos, it comes as a very reasonable price yet effective shampoos you will find out there. Not only does, but it also delivers excellent results. It is rich in ingredients like an egg ceramide complex and a blend of five natural oils which help treat dryness and protein damage in the hair. It also works on your hair and makes it conditions to make it more manageable leaving even the driest hair smooth and soft in the long run. Not only does this hair shampoo helps to treat dry hair, but it also helps to control hair damage and combat the five main hair problems which include namely hair breakage, dry hair, dull hair, split ends and rough hair. This shampoo lathers well and is excellent at removing dirt in the hair for a cleaner scalp while nourishing your hair down and providing 360 degrees protection against humidity, UV rays, and heat. This hydrating shampoo helps to treat dry hair by providing the much-needed moisture needed for optimum hydration of the hair while keeping it clean and dirt free. This shampoo is rich in Vitamins A and E and also contains argan oil which acts as antioxidants and red algae with impressive moisture attracting capabilities. Moroccan oil shampoo also helps to improve the elasticity of your hair and revitalize dull hair. It also acts as a radical neutralizer and UV-protector. How do shampoos and conditioners work? What is the best shampoo and conditioners for dry hair on the market? 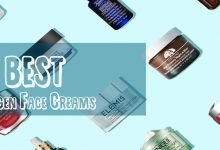 It is impossible to give a direct answer to this question since the effectiveness of beauty products varies from one user to the other which means results even from the most recommended products in the market might not be exactly as advertised. This doesn’t imply that the product is less than standard as effectiveness, but depends on body chemistry and some other factors. You can check through our list for highly recommended shampoo and conditioners above and try out any of them once you are satisfied it is okay for you based on information available. You might need to try out multiple options until you find one that gives you the best results. Dry hair can result from different causes. These causes vary from environmental factors to hair care practices and can even result from underlying health complications. The most common environmental factors that can cause dry hair includes living in a hot, dry climate, spending too much time out in the sun and swimming in chlorinated water or salt water too frequently. Wrong hair care choices can also cause dry hair such as washing too often or washing with harmful chemicals and blow drying your hair too often can also lead to dryness. Medical conditions such as Anorexia nervosa or hyperparathyroidism can also cause dehydration. Are there ways to prevent hair dryness? 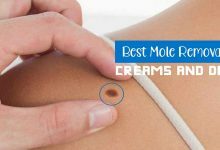 Rather than searching for solutions, there are ways you can prevent dryness especially when this is caused by environmental and hair care issues. You should avoid exposing your hair too much to UV radiation especially when you live in areas with hot and dry climate. You should also ensure that you use hair products that do not put your hair at risk of getting dried out. Can shampoo repair damaged hair? Shampoos and conditioners help not only to moisturize and hydrate dry air, but they can also help to repair hair that has been damaged due to dryness already. Some shampoos and conditioners recommended above can serve this purpose well and treat damaged hair. They contain ingredients that go down to the root of this damaged hairs and help to restore them to health. Can I use a dry shampoo work for my dry hair? Yes, it is dry shampoo doesn’t mean you cannot use it if even if your hair is dry. There is a lot of dry shampoos that are effective for treating dry hair effective and supply the same level of hydration, moisture, and nourishment required to keep your dry hair healthy. 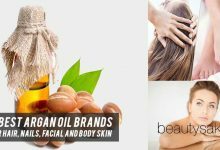 From a detailed review of the information available about each of these products and the product reviews left by users, any of the products detailed above can be recommended for both males and females with dry hair. 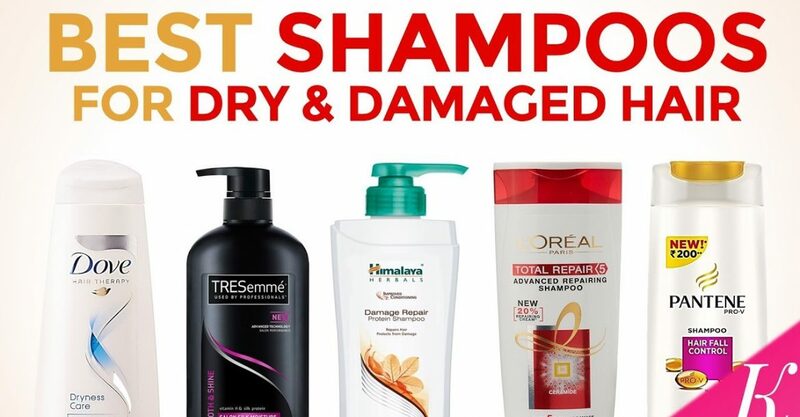 No matter the level of damage your hair has undergone whether minimal or significant; you can trust any of these best recommended best shampoo and conditioners to attain desirable results and return your hair to health. However, that for long-lasting effects a combination of fundamental lifestyle changes to keep your hair in good condition together with these regular use of these shampoos and creams will help to restore your hair completely.